This simple story with bright, clean artwork will appeal to any very young child impatient for Christmas to arrive. But is Little Chicken anxious for the reason you think? Or does Little Chicken have a plan to make someone else happy? The hints begin on the title page and continue under Little Chicken’s funny, egg-shaped bed. Mama Chicken and Little Chicken go do holidays things. 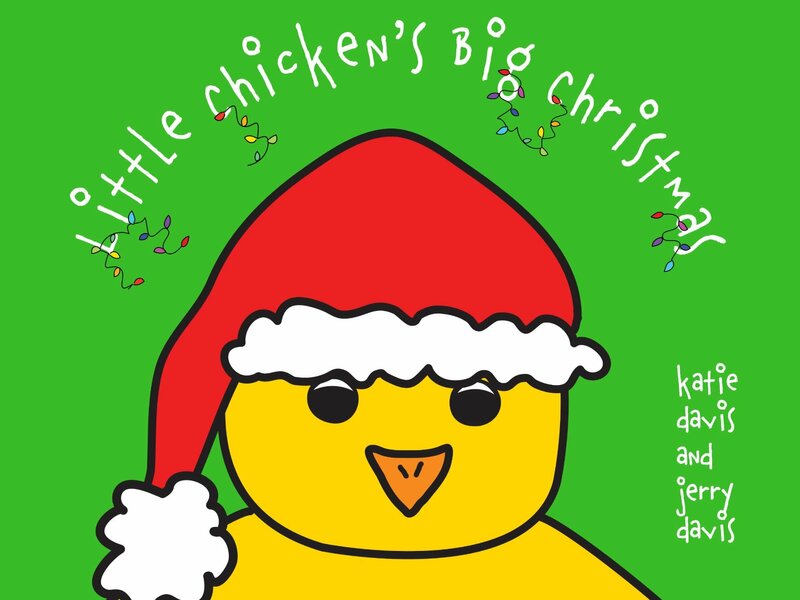 They see Santa, but Little Chicken holds onto Mama Chicken’s spindly legs at first, then gradually gets braver. All Little Chicken wants is for Christmas to arrive. But not yet, Little Chicken. Mama hangs lights on their egg-shaped house. It’s not Christmas yet. They have cookies by the egg-shaped fireplace. Still not Christmas. Finally, Christmas arrives and Little Chicken has a surprise for someone! The story comes full circle with a clever punchline that will make your young one laugh. 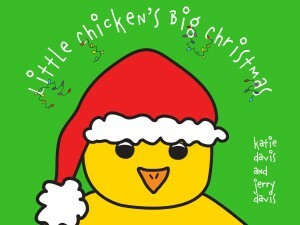 By Katie Davis and Jerry Davis, this book is being launched as a follow-up to Little Chicken’s Big Day. The artwork in the review copy is reminiscent of James Marshall’s droll George and Martha books, but with amped up, solid color. Interestingly, the authors have skipped any reference to Little Chicken’s gender, so any young child truly can identify with this intrepid, loving character. Freebies from Katie! Get your printable Little Chicken bookmarks and coloring pages. This entry was posted in children's books, e-books, reviews and tagged children's books, Katie Davis, picture books. Bookmark the permalink. Post a comment or leave a trackback: Trackback URL.